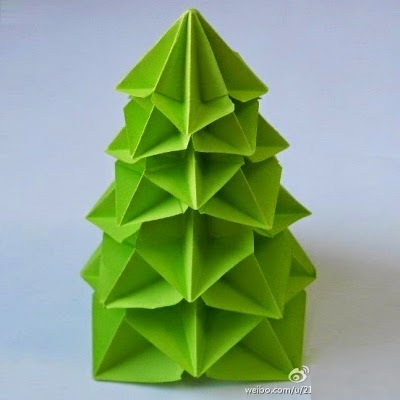 The pattern for this modular origami Christmas tree was created by Francesco Guarnieri. To construct the tree, progressively smaller squares of paper are folded into the same octagonal shape, then stacked. Everything you need to know to construct a tree of your own may be found here. In the Disney TV series, Phineas and Ferb, the Flynn-Fletcher family own a pet platypus named Perry. Unbeknownst to the family, Perry leads a double life as a spy known as Agent P! Time and again Agent P has stopped the evil plans of the bumbling Dr. Heinz Doofenshmirtz. 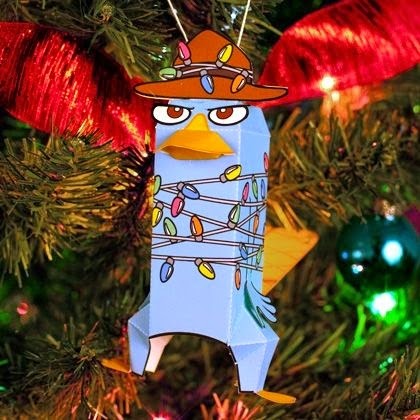 This 3D papercraft Christmas ornament of Agent P is available at the Disney Family website. In the DC Comics universe, Harley Quinn is the right-hand woman of The Joker, Batman's archenemy. Once a psychiatric intern, Harley is now as insane as the criminals she once attempted to treat. 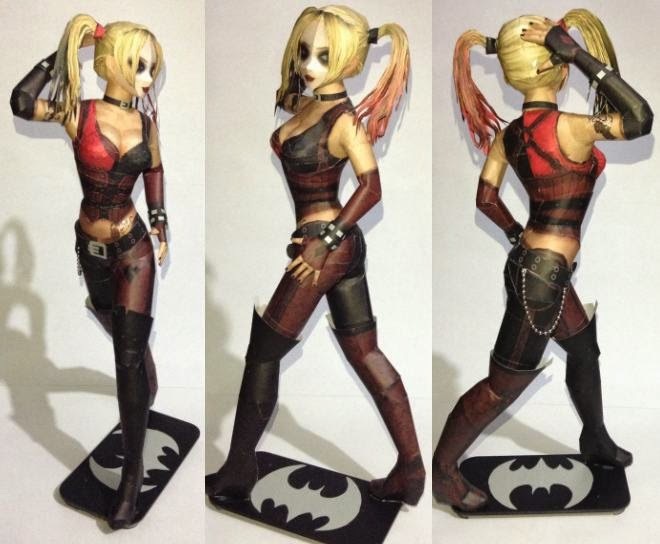 This Harley Quinn papercraft is based on a 3D model from the Batman: Arkham City video game. The Pepakura PDO template for Harley is by Sheol Papercraft and may be downloaded here. The finished model stands around 13.8" (35 cm) tall. 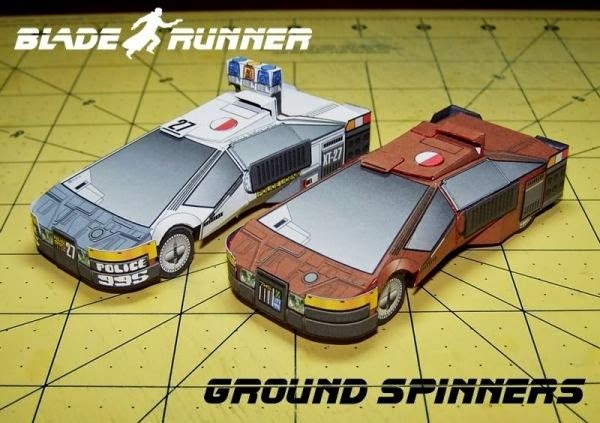 In the 1982 movie, Blade Runner, the police use cars called Spinners. 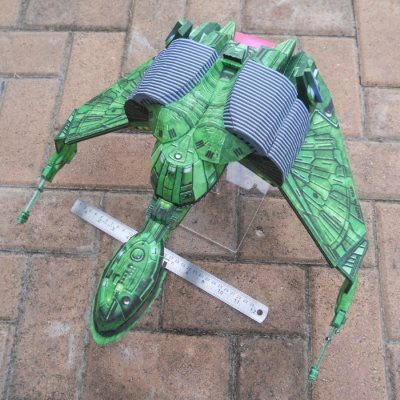 Spinners can both fly and move on the ground like a regular car. These miniature papercraft Spinners were created by Dave Winfield. At his website (located here), Dave offers a wide selection of free paper models of vehicles seen in movies and TV shows. A magic folding cube is a cube with six photos on the sides that folds open to create a new cube with six different photos showing. 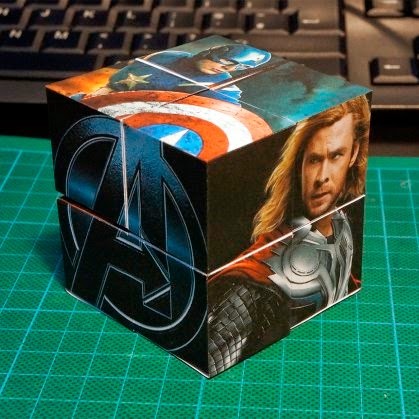 In this case, the photos on the cube are of Marvel's Avengers! The twelve photos included on the cube are: Thor, Captain America, Iron Man, The Hulk, Black Widow, Hawkeye, Nick Fury, Agent Coulson, Agent Hill, Dr. Selvig, Loki and the Avengers logo. Links to the template, instructions, and a video may be found here. 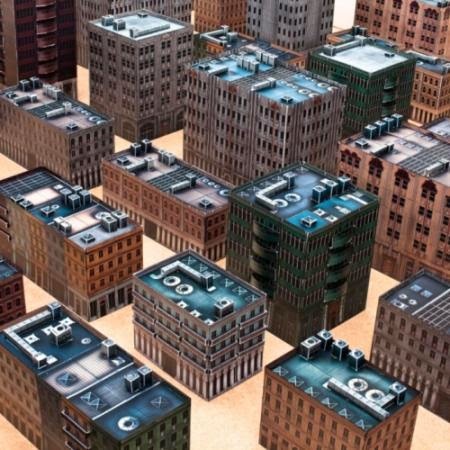 This collection of papercraft urban buildings was created for Dropzone Commander, a 10mm scale sci-fi tabletop wargame. Each of the buildings is nicely detailed with projecting balconies, roof top mechanical units, and parapets that are double sided. PDF templates for the buildings are available for download at the Hawk Wargames website. Also available are printable roads to place between the buildings. 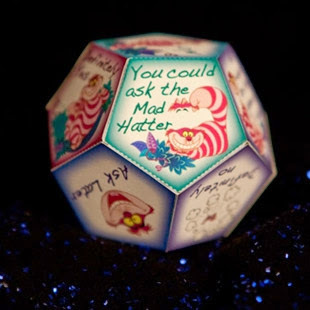 This printable Cheshire Cat "fortune teller" toy is the same shape as D12 dice used in RPG games. The toy works on the same principle as the "Magic 8 Ball" toy (only the die inside the Magic 8 Ball has 20 sides instead of just 12). Having only two pieces, the fortune teller is a quick and easy build. 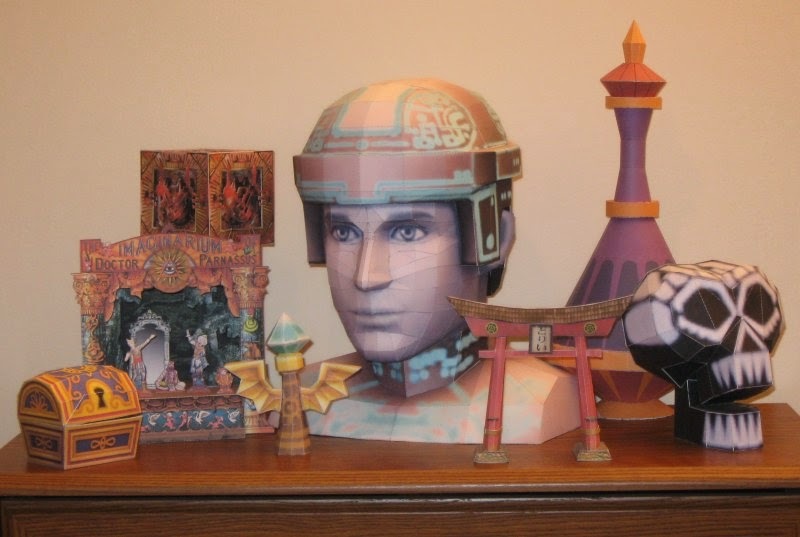 The papercraft template for the toy is available here.